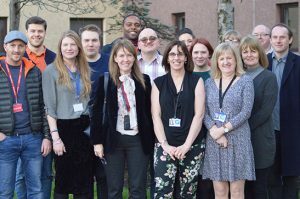 In August 2016, the Community Justice Policy Coordinator for Stirling Partnership organised a ‘Connecting Partners’ to bring together current and future community justice service providers to raise awareness of the new model for community justice in Scotland. In total, 30 stakeholders registered for the event and 25 different partners were in attendance to discuss collaborative partnership working in delivering the new model in the Stirling area. As part of the meeting, an interactive icebreaker was delivered to help partners share contacts, exchange information, and outline their service area. This allowed people to start making the necessary links and create opportunities to work together effectively. The second part of the event focused on workshops where partners worked in groups to find collaborative solutions to challenges like improving the wider understanding of community justice and addressing the complex needs of people going through the justice system. At the meeting, the various partners agreed that the new model for community justice is an ambitious approach. They also felt that its successful implementation hinges on collaborative partnership working which is particularly challenging when partners are required to do more on limited financial resources. While the new approach is welcomed, partners noted that more guidance is needed with regards to the definition of community justice, third sector, elected members. The partners also agreed that we need to build on best practice to engage collaboratively with the community through existing community engagement and communication strategies. Awareness raising needs to continue to be targeted at appropriate service users and hard to reach communities so as to enable the people who are affected the most to be involved in the decision making that affects their communities. Partners still face a significant challenges internally and externally where data protection and confidentiality are concerned and a shift in culture is needed to ensure true partnership. Partners also highlighted the need to identify and retain existing areas of good practice and align them with the new model. Education and community learning were discussed and agreement was reached that an intelligence-led approach is essential to target educational intervention where there is greatest need is required. There is also a need to manage communities’ expectation of the new model through Community Payback Orders and community sentencing. It’s important to increase public and victim confidence by communicating effectively and ensuring there are effective remedies for victims. It was agreed that presenting consistent messaging is vital and that every opportunity should be taken to highlight positive contributions from Community Pay Back to the wider communities through good news stories in the various channels available. Awareness raising needs to be targeted at communities of interest and there needs to be a range of community engagement activities to challenge attitudes on offending and sentencing. There is a need for multi-agency workforce learning and development for staff. It was agreed that it’s also important to encourage people to be more open about the issues in their community and to support them to find solutions that work for their community. The group also felt is was important to create opportunities for partners to ask questions and learn about community justice matters and to raise victim awareness by listening to the needs of victims. Overall it was agreed that the community justice picture is very complex. With that in mind it’s important to improve inter-agency communications and to create protocols that ensure all partners can share and receive information. 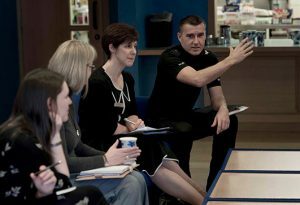 It’s also important to improve multi-agency working arrangements such as Multi-agency Risk Assessment Conferences, Multi-agency Tasking and Co-ordination and, Multi-agency Public Protection Arrangements to ensure a better understanding across all agencies of the types of service user. There was also general agreement to pursue multi-agency learning and development opportunities, sharing good practice and looking at significant case reviews in partnership.